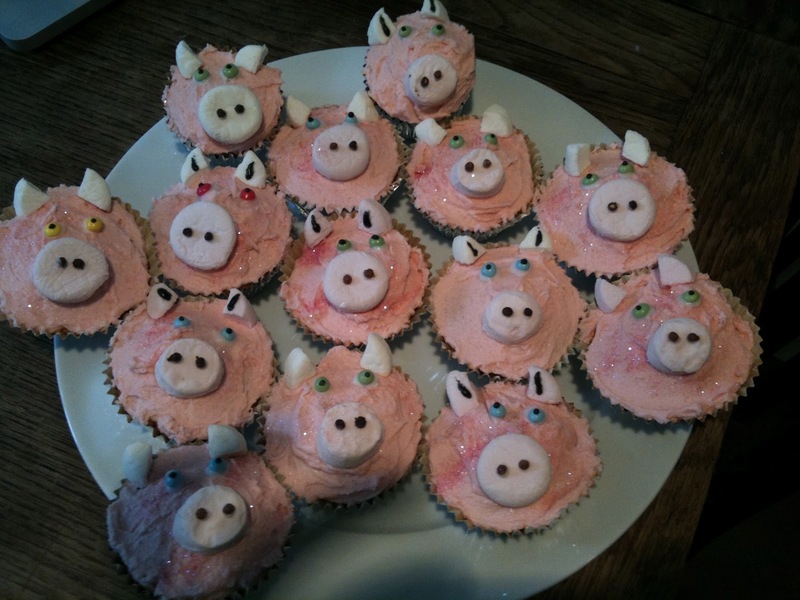 Pigs are made from light and fluffy vanilla cupcakes (no extras, just good and old fashioned), with butter cream and rose-water frosting and a little pink coloring. Nose and ears are marshmallows, with chocolate writing-icing decoration, and eyes are coated chocolate drops. Personalities and names optional. 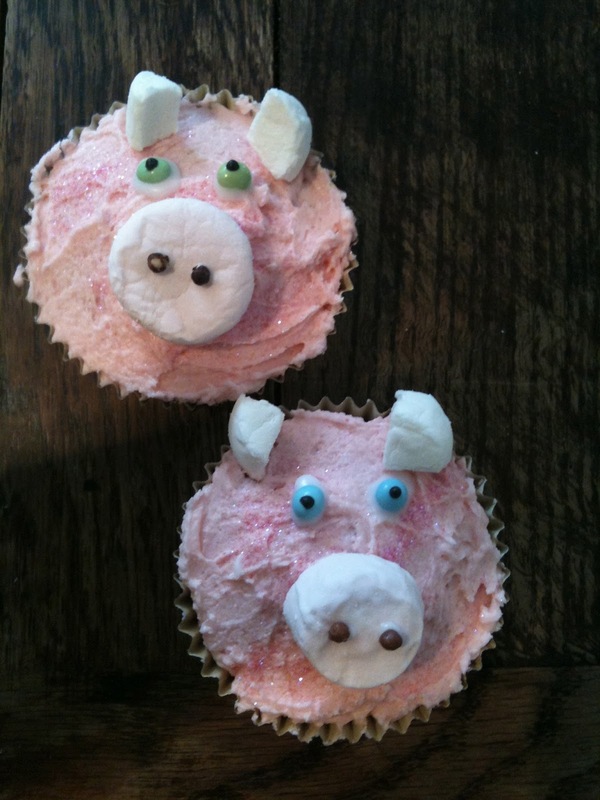 Invite some friends over to your stye to try them.